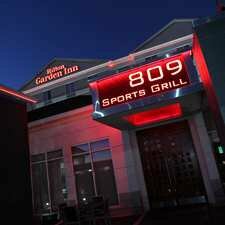 Located inside the Hilton Garden Inn in Oklahoma City's Midtown, 809 Sports Bar & Grill serves up breakfast, lunch and dinner seven days a week. Stop by for a cup of coffee in the morning or drinks in the evening and you'll be greeted by 12 LED TVs scattered throughout the ultra-contemporary setting. Head in for a quick lunch and you'll become an instant fan of 809's juicy hamburgers and seasoned fries. 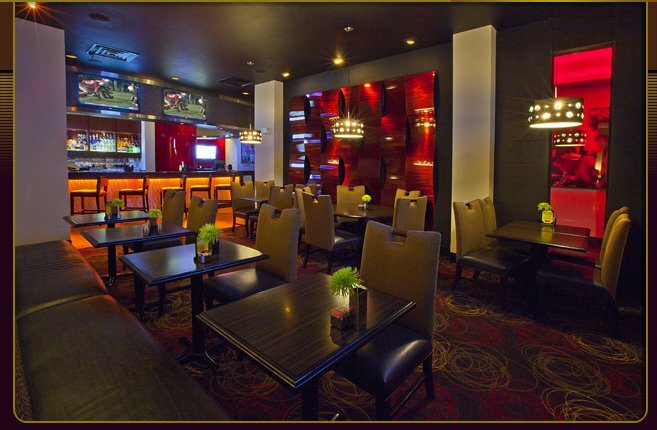 Play a game of pool, grab a drink and let the good times roll at 809 Sports Bar & Grill.